Former Minister of Aviation, Femi Fani-Kayode has reacted to a viral video of President Muhammadu Buhari on Thursday referring to the All Progressives Congress (APC) flagbearer in Delta, Great Ogboru, as “presidential candidate”. Buhari earlier made the error as he was about to present APC flag to Ogboru at the party’s rally held at the Warri Township stadium. Wife of new Inspector General of Police dies, buried in Kano. 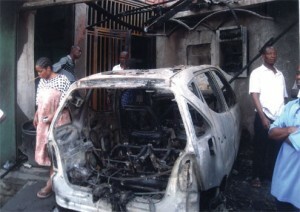 4 dead as Lagos Island youths unleash mayhem… wield AK-47 rifles.